There are more miles of pipeline in Texas than miles of road, transporting oil and gas across our state and threatening communities and waterways along the way. Although it is still unfinished, Enbridge’s new “Valley Crossing Pipeline” already has a troubling history of controversy, including misleading information, a sinkhole, manipulated regulatory processes, and most importantly, significant local opposition. 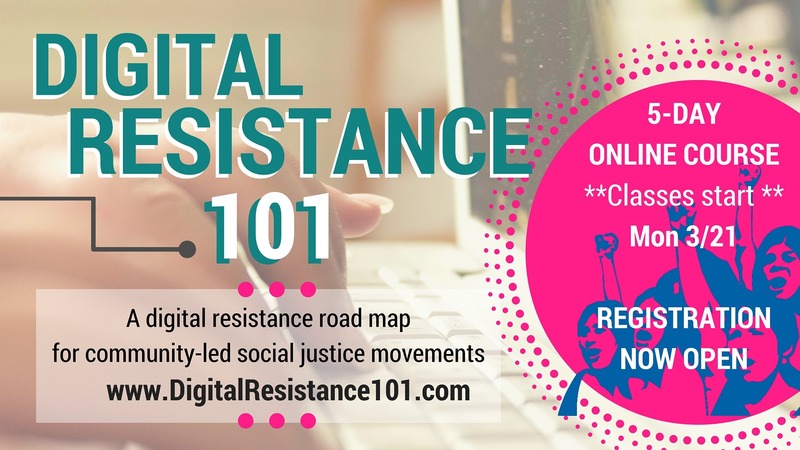 If you want to be a part of this resistance, sign up here. 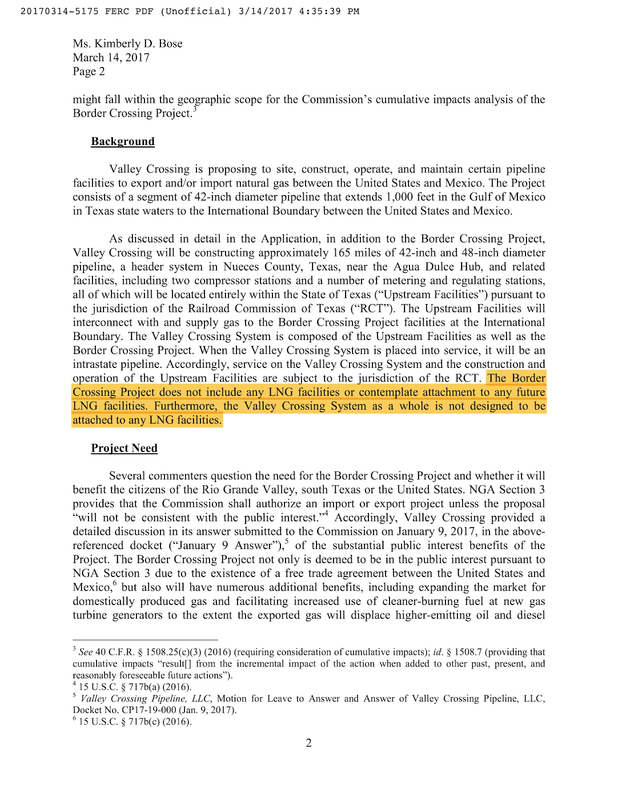 The Valley Crossing Pipeline, also referred to as the “Nueces County to Brownsville” pipeline, was originally owned by Spectra Energy until big fish Canadian pipeline company Enbridge absorbed Spectra Energy inFebruary 2017. Much of the 140 mile-long pipeline has already been constructed and buried underground from Agua Dulce, Texas to the Port of Brownsville. Once construction is finished to the Port, Enbridge plans to build the pipe under the Gulf of Mexico and connect it to the proposed underwater “Tuxpan-Tula pipeline,” owned by the notorious TransCanada, and all the way to Veracruz, Mexico. These pipelines are unlike your typical small gas service line that lights your kitchen stove. They are massive 42-inch diameter pipelines with a potential deadly blast radius of a quarter mile if they explode, and Texas is known for having the most pipeline accident casualties than any other state. Despite being built and operated by a private company, Valley Crossing has been given the power of eminent domain, meaning that any Texas landowner who refuses to sell their land to the company could have their land seized for the pipeline anyway. Enbridge may not have the notoriety in Texas that TransCanada or Energy Transfer Partners have these days, but it has a terrible history of pipeline explosions, leaks, and spills in Texas, across the country, and in Canada. These incidents include polluting the Kalamazoo River in Michigan with highly toxic tar sands oil, a gas pipeline explosion in East Texas that killed a man who accidentally mowed the unmarked pipeline, and dozens more stories involving the mistreatment of landowners or accidental deaths caused by Enbridge’s negligence. There is also an active resistance to proposed Enbridge pipelines in Minnesota and Michigan. Many have taken strong strides to stop Enbridge from conducting their dirty pipeline business. Texas LNG, tell the audience we’ve never met before, okay? Texas LNG has had plans since 2015 to build their polluting 600-acre fracked gas export terminal at the Port of Brownsville. 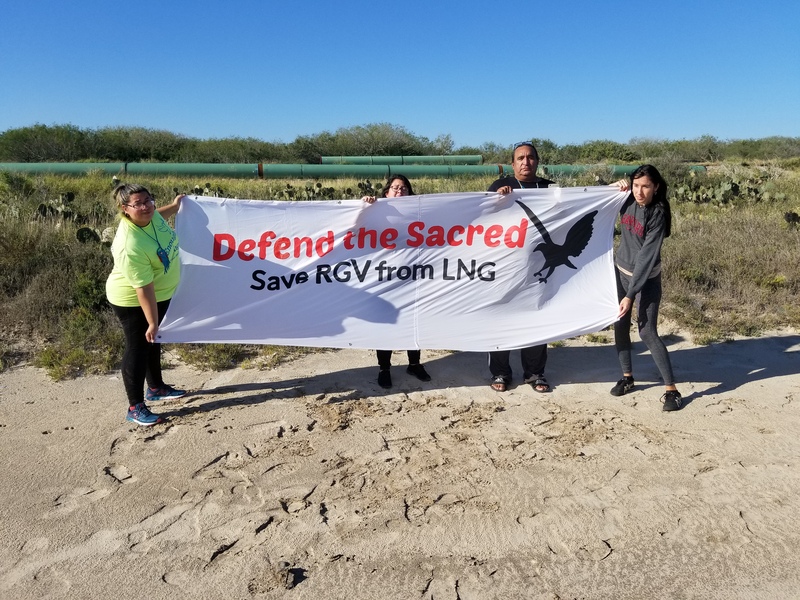 For the past four years, Rio Grande Valley locals have taken a strong stance against this company’s plans, and the two other massive proposed liquefied natural gas (LNG) projects, by pressuring cities to pass anti-LNG resolutions and submitting hundreds of comments to the Texas Commission on Environmental Quality (TCEQ). 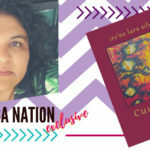 Local leaders also discovered that Texas LNG plans to bulldoze a federally recognized pre-Columbian indigenous village and grave sites, which led to the formation of an international movement, led in part by the Carrizo Comecrudo Tribe of Texas, to defend the sacred Native sites. 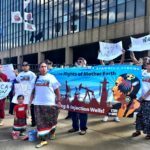 By 2017, these organizing efforts influenced the eighth largest bank in the world, BNP Paribas, to drop support for the Texas LNG project. 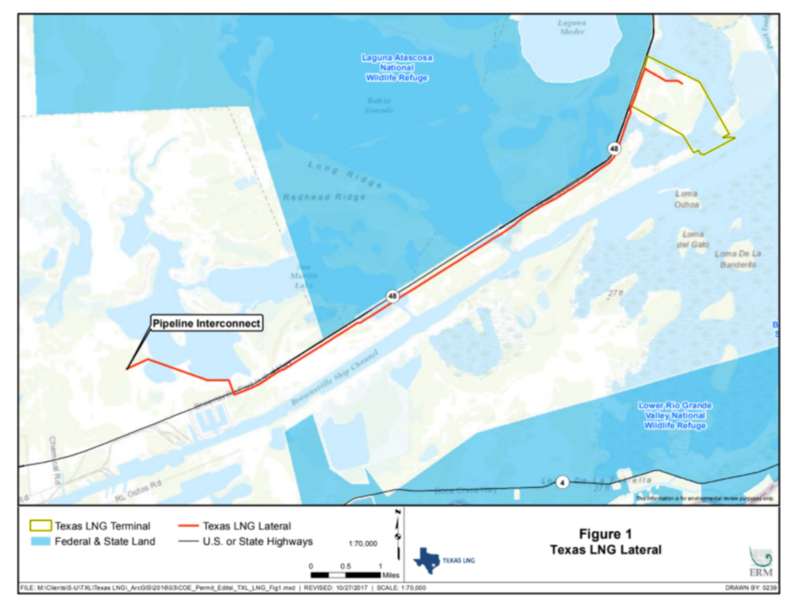 In 2016, Texas LNG applied for a federal permit to build its export terminal but had no publicly documented explanation or expectation of how the terminal would receive fracked gas to export. And so we wondered… how would this polluting facility receive the gas? By railroad? Pipeline? Water slide? The public had no idea. What we did know is that Enbridge/Spectra’s proposed route for Valley Crossing was suspiciously close to the proposed Texas LNG terminal site. But neither Enbridge/Spectra or Texas LNG had mentioned the other in their public federal and state permit applications. The fracked gas that would flow through the Valley Crossing Pipeline was clearly meant to be exported to Mexico, which means that the company should need a federal permit from the Federal Energy Regulatory Commission (FERC) to build. 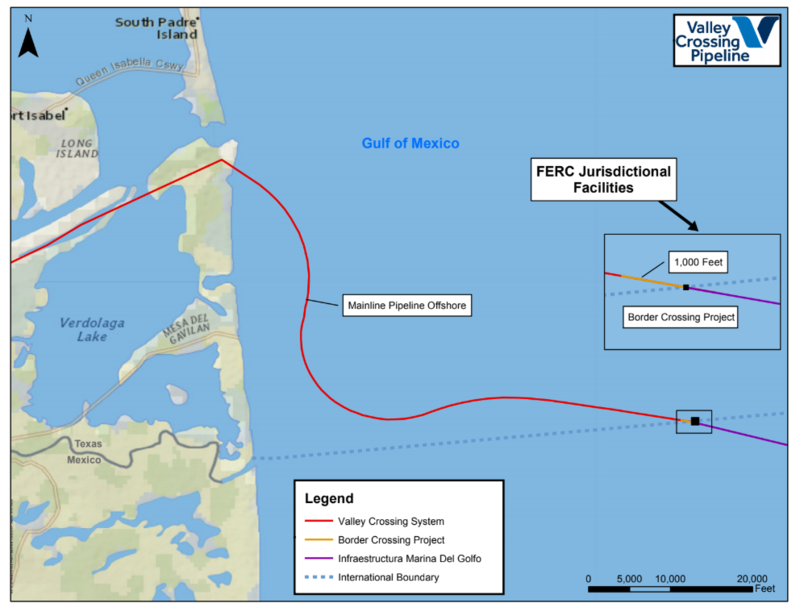 However, in taking advantage of FERC’s flawed process for analyzing cross-border pipelines, Enbridge claimed that the section of Valley Crossing that would need a federal permit is just the 1,000-foot section of pipe that crosses the U.S./Mexico border hundreds of miles off the coast of Brownsville, while the rest of the 140-mile pipeline falls under the regulatory oversight of the Texas Railroad Commission (RRC). If you’re familiar with the RRC regulatory process for pipelines, you know that it’s not so much of a process as it is a rubber stamp agency for these kinds of permits. So Enbridge/Spectra had their state permit to build the majority of the Valley Crossing Pipeline and began putting pipe in the ground before the essential 1,000-foot piece under FERC jurisdiction was approved. FERC, however, does allow for public comments and stakeholders to intervene on permit applications. The deadline to intervene on the 1,000-foot pipeline section was by December 23, 2016 (FERC has the Christmas Eve spirit). Residents from the Rio Grande Valley area sent in about 100 public comments opposing the pipeline, stating concerns about potential explosions, eminent domain abuse, impacts to the popular fishing spot called South Bay, and rejecting the construction of Texas LNG. In addition, the City of Port Isabel intervened on the permit request. By early 2017, Enbridge (which owns all of Valley Crossing Pipeline LLC, the company set up to build the pipeline), formally responded to the FERC and public comments, stating it would not provide any gas to Texas LNG. The mystery of how Texas LNG would magically receive gas remained unanswered for another year. By October 2017, Enbridge finally had all of their permits to build the last remaining section, and needed to finish negotiating with landowners along the pipeline route. At this point, many Rio Grande Valley locals were well aware of the Valley Crossing Pipeline, and had seen the pipeline construction next to our homes and slicing through wetlands along Highway 48. The permitting system is so rigged that the company started construction in April 2017 and laid 80 miles of pipeline in the ground before they had their federal permit to build the connecting piece to Mexico. 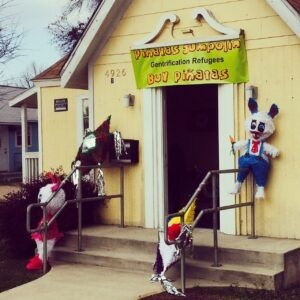 People were not happy about this. In June 2017, Enbridge posted the landowner condemnation cases in the Brownsville Herald newspaper, as required by the state, which revealed that State Rep. Eddie Lucio III’s law firm was representing the pipeline company to get land from local landowners. Lucio is well-known in the community and many Brownsville residents know him and his father, State Senator Eddie Lucio Jr. You can’t say this was a conflict of interest by Mr. Lucio, though, because the pipeline route was conveniently outside his state district. Locals saw the ads in the newspaper, word spread, people held signs at his campaign office to oppose his law firm’s involvement with Valley Crossing, and a few folks even showed up at his office with a news reporter to confront him. To avoid continued backlash from the community, Mr. Lucio pulled his law firm from working with Enbridge and publicly stated that the pipeline is unaffiliated with the controversial LNG projects. Lucio and his father had already sent letters of support for Texas LNG to FERC in 2015 before the company applied for the federal permit. Fast forward to December 2017. 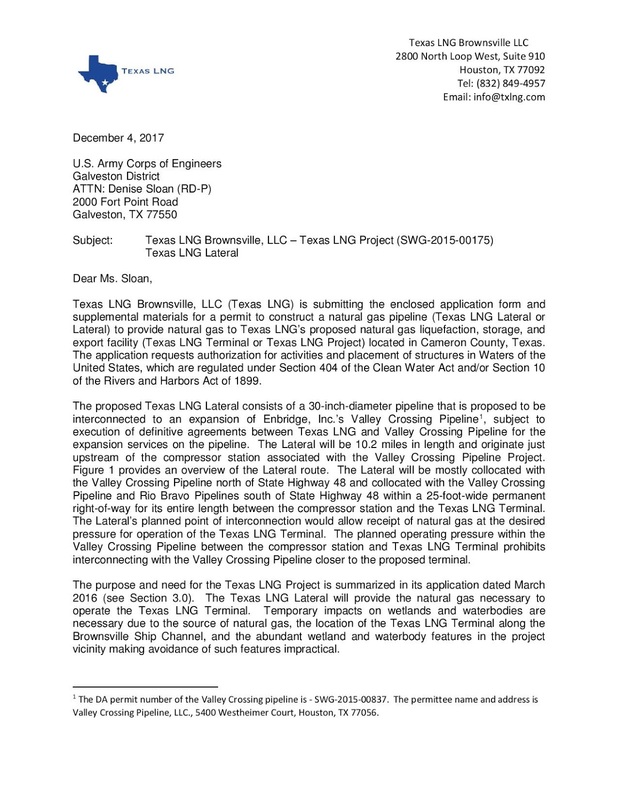 Texas LNG sent a notice to FERC stating that they will receive gas from the Valley Crossing Pipeline after all, from a previously unknown/undisclosed connecting pipeline. The agreement with Valley Crossing Pipeline was conveniently made after Valley Crossing received all their permits, negotiated with all the landowners, and much of the pipe was in the ground. “It feels like the company knew about the huge opposition to LNG here in the Valley. 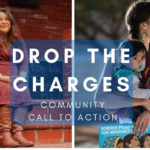 And the company purposefully made the deal with Texas LNG after they received federal and state permits, demanded landowners to accept the flammable pipeline on their property, and started laying the pipe in the ground,” said Josette Cruz, Brownsville resident and member of the Save RGV from LNG community group that has organized to prevent the LNG terminals and pipeline for the last four years. In May 2018, the Valley Crossing pipeline construction caused erosion and led to the first sinkhole forming in Los Fresnos, a small town in the Rio Grande Valley. The sinkhole was reportedly eight feet deep and highly unstable. The city has filled in the sinkhole but it’s not clear if Valley Crossing paid any money to repair the site. 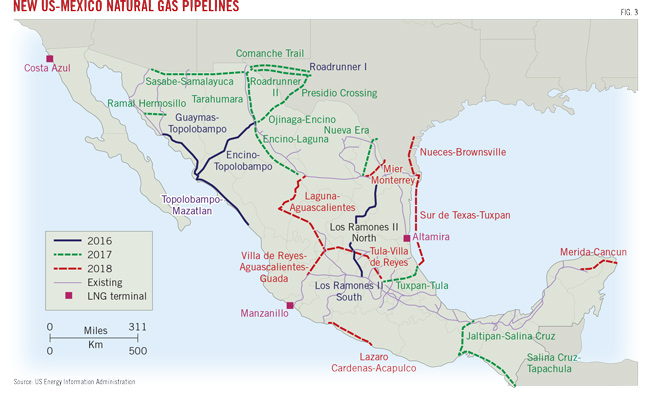 Valley Crossing is part of a vast network of pipelines that will eventually connect to the Sur de Texas-Tuxpan pipeline, which connects to another pipeline onshore in Mexico called the Tuxpan-Tula pipeline. The Tuxpan-Tula pipeline has already met with Mexican opposition, forcing delays in construction. An organization, Consejo Regional de Pueblos Originarios in Defensa del Territorio de Puebla y Hidalgo, representing indigenous communities of Totonacos, Nahuas, and Otomíes, has challenged the legality of the pipeline encroaching on their community. They have brought five legal cases and physically blocked the entrance of the pipeline promoters on their land. Until June, rough seas had delayed the construction of the offshore section of Valley Crossing, but reports indicate offshore construction has resumed. Enbridge and Texas LNG had the chance to tell the people of the Rio Grande Valley and FERC the truth, but they didn’t. 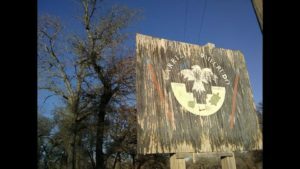 They chose to hide their true intentions until the opportunities for concerned residents and local governments to raise concerns about the connection during permit approval of the pipeline were gone. But it wasn’t just that they didn’t tell the public about what they were planning. 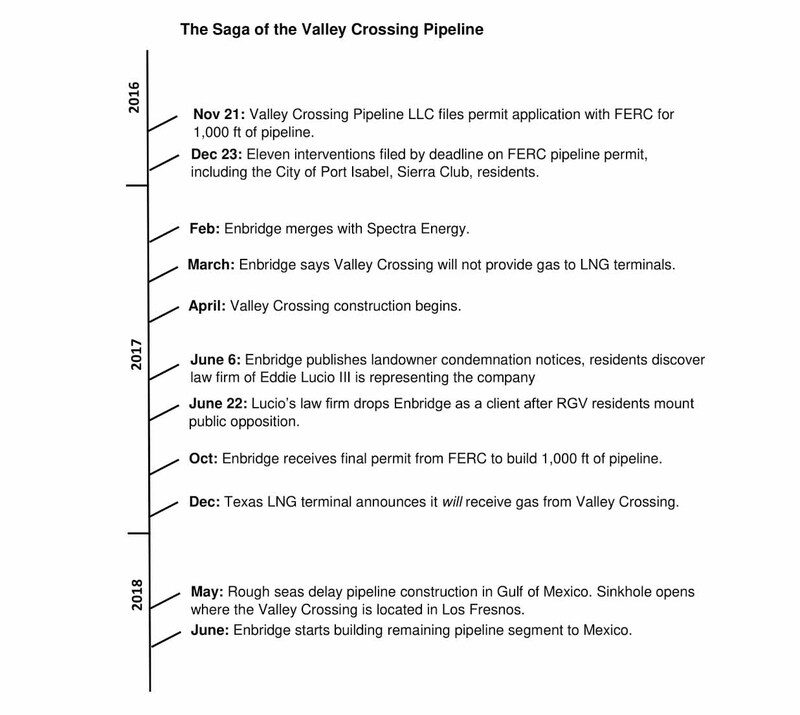 Enbridge is on the record saying Valley Crossing would not supply fracked gas to Texas LNG. That was not true. What can we do to address this? It may seem like the deck is stacked against us. These are powerful corporations with the support of regulatory agencies and elected officials. Although we cannot see how this will end yet, we must continue the fight to hold Enbridge accountable and protect our communities from dangerous LNG projects. We must also continue to expose these bad actors, and hold our elected officials accountable.